Emerald Blaze is a shimmer that shifts green to soft red. Lovely, but...familiar. 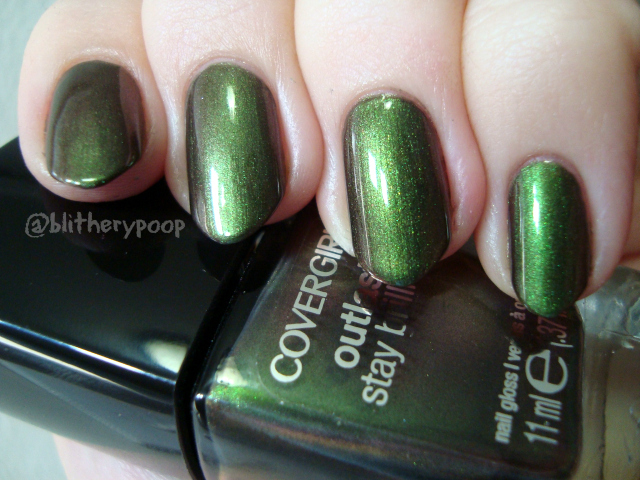 The moment I saw Emerald Blaze back around Thanksgiving, I was pretty sure it was a dupe for OPI Green On The Runway. I love doing comparisons, but I decided to wait for a better price. I finally found it at CVS recently. It's a new-for-2015 core shade, so if you haven't seen it yet, you will soon. This is two coats and the formula's on the thick side. The shift isn't the boldest ever, but it's still pretty strong at extremes. Dupe! 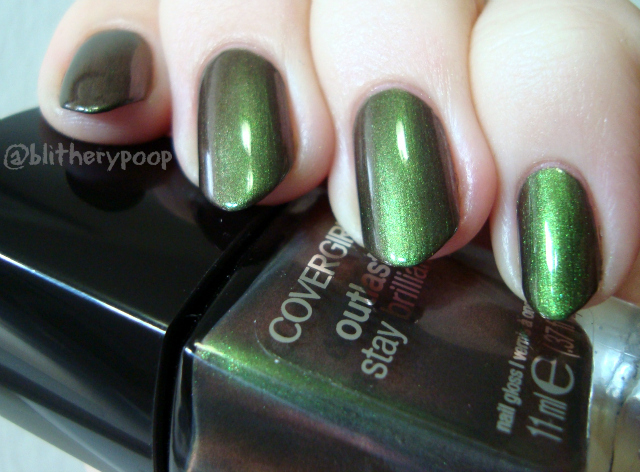 If there's any difference at all, the OPI might have slightly finer/denser shimmer, but they're essentially identical. I prefer the thinner formula of the OPI, but Emerald Blaze's shelf price is $3 cheaper and it's much easier to find. 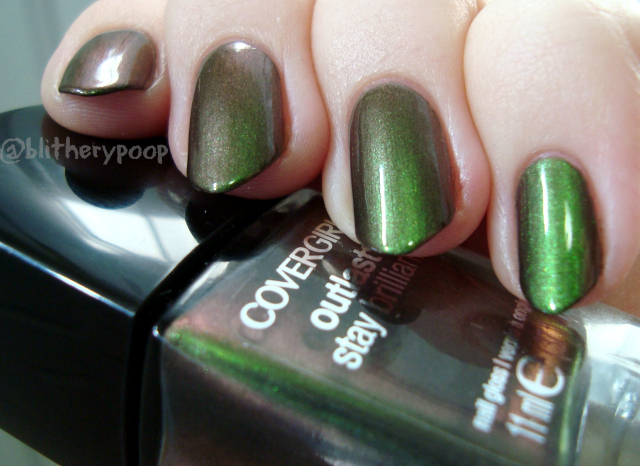 Bottom line: Dead ringer for OPI Green On The Runway, but with a thicker formula and lower price point, plus it's core. Fellow North-Easterners, did you get any snow over the past few days? I know some places got as much as they were saying we would here in the Philly area.